February 23, 2010  At KEXP, there was no point in resisting Bomba Estereo's infectious groove. Colombian cumbia and champeta rhythms are at the root of the band's sound, while vocalist Liliana Saumet brings wild movement and color to the forefront in this session. February 23, 2010  Get the insider's perspective on the music business from the co-founders of an independent record label and hear how banjo player Alison Brown has pushed her instrument into new musical territory to secure an international following from fans of jazz, bluegrass, and new acoustic music. February 22, 2010  In Haiti, the musician's politically charged lyrics helped elect a president and nearly got him killed. But now, after a term as mayor of Port-au-Prince, Charlemagne lives in Miami. 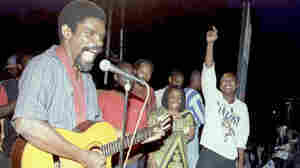 The earthquake last month has devastated the singer, who used to be described as the Bob Marley of Haiti. 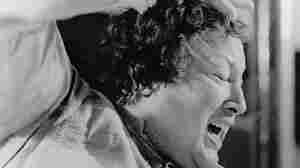 February 22, 2010  With his intense stage presence and relentless drive to improve, Nusrat Fateh Ali Khan single-handedly brought Qawwali, a form of Sufi devotional music, to the West and the non-Muslim world. 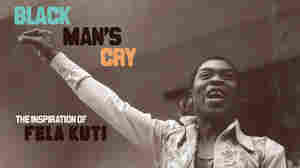 In the process, he influenced an unlikely array of music around the world. 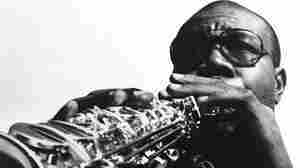 February 22, 2010  On this edition of All Songs Considered, we hear Fela Kuti's, Ali Farka Toure and Toumani Diabate, Shearwater, Eluvium, Laura Gibson and Ethan Rose, Richard Skelton, and more. February 22, 2010  Jazz musicians have long mined Broadway, the Great American Songbook, and even pop music for material. Here are five Latin interpretations of songs written by jazz musicians, a process that isn't as easy as playing the chords of a jazz composition over a mambo rhythm. 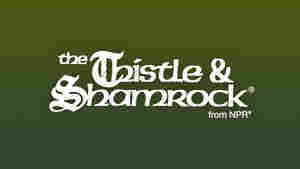 The Thistle And Shamrock: What's New? February 17, 2010  The new releases come thick and fast to our radio show mailboxes in the U.S. and Scotland. This week we catch up on the latest music from your favorites and discover the new artists to win deserved airtime with their debut releases. February 15, 2010  With a trove of instruments, languages and good humor, Abaji demonstrates his passion for music that reflects his numerous family roots, including Armenia, Turkey, Greece and France. Watch him perform a short concert at the desk of All Songs Considered host Bob Boilen. February 9, 2010  Join us in marking the annual celebration of the birth of the Scotland's National Bard with an hour of musical innovation and tradition inspired by Robert Burns' legacy. 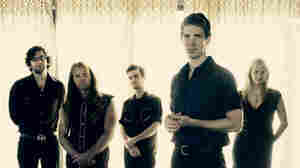 February 8, 2010  Castaneda is the sort of musician who isn't afraid to challenge the established order. He's carving out a place for himself in Latin jazz on an instrument you don't often hear in his style of music: the Colombian harp. Castaneda recently parked himself behind Bob Boilen's desk and crafted a transporting mix of tradition and improvisation. 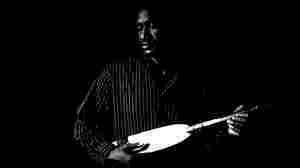 February 2, 2010  Mali's Bassekou Kouyate, currently touring with banjo king Bela Fleck, demonstrates his prowess on the ngoni — an African lute — on his latest release. Recorded with his band Ngoni Ba, it's titled I Speak Fula. 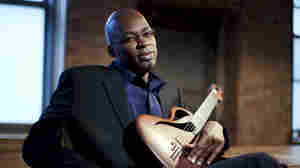 February 1, 2010  Loueke is a jazz guitarist and vocalist. But if you've never heard him, his music sounds nothing like the work of the crooning strummer that description conjures. Hear his new album of spare yet intimate duos and trios, Mwaliko, in its entirety prior to its commercial release on Feb. 9.